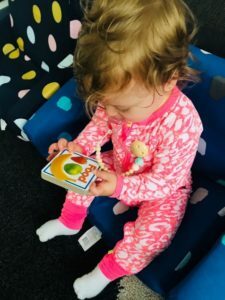 This wonderful article has been contributed by Angela of Little Life Co. A fellow mama and teacher who is passionate about learning in the early years. In this article she talks about the many incidental opportunities for learning in the home. Next week, in part 2, she will share some simple and fun learning activities you can do with your children at home. So make sure you keep an eye out on my Instagram for launch date. Do I need to teach them how to write? When should they know how to count? Am I doing enough to support their learning? What do they need to know for school? These are often the questions I hear from other mums. For some reason they believe that because I am a primary school teacher, I sit my kids down and run maths lessons on a daily basis. This is most definitely not the case. I am a real believer of learning through play and allowing kids to be kids. They have many years of formal learning ahead of them, why do we need to push them from so early on? My approach, if I had to label it, would be Child Initiated, Incidental and Play Based. You will be amazed by the number of things children learn through every day play. My aim in this article is to make you aware of this learning and how you can then further support it by asking the right questions or exposing them to the right situations. This does not mean timetabling activities in order to fit in a certain number of hours of learning a day. Let’s look at these styles of learning a little more closely. This is exactly what it sounds like, learning that is guided by the child. Cristian was never the type of toddler who would like to be told what activity to do next. Therefore, the idea of telling him that we have to do number activities at 10.00am on Monday morning never crossed my mind. However, he may choose to take out his number magnets to play with on the fridge. And here we are, a perfect situation to do some learning. Instead of just leaving him there to throw the magnets around, I would sit with him and we would talk lots about the numbers. I don’t even think he’d even notice that I was trying to teach him anything. In his eyes we were just playing together. Children are naturally inquisitive and will often ask many questions. These ‘wonderings’ are a great way to follow your child’s lead. For example, they may ask a question about the weather and you might become ‘researchers’ together to find out an answer. You may look through books, watch documentaries or even just come up with your own crazy theories. This will often lead to children developing a passion and then doing some ‘inquiry learning’ on their own. All you need to do is provide them with some materials such as a shoe box, playdough, stickers, counters etc and then watch them explore. So how do you make the most of the situation? By asking the right questions. Here are some examples of how you could embrace this moment and the types of questions and conversation to have. Can we put them in order to make a big tower? Oh, that’s the number 3. Can you find 3 blocks in the tub? We have 3 people coming over for lunch, how many napkins do we need to put out? We have 2 feet. Can you find 2 matching socks? These are just a few things that you could do to really expand your child’s understanding of numbers in a small moment of play. Your child might lose focus after ten minutes or they may be engaged for a while. They may also not really take in much of the conversation and seem to forget the next time you do something similar. They are only little! Continual exposure and repetitive discussion will lead to learning over time. There is no need to put pressure on yourself or your child to know certain things in a clear time frame. If you begin to push them or tell them they are expected to play for longer than their attention is able, they will begin to resist the conversations and not engage with you. Make it fun and follow their interests. If your child attends kindergarten it is likely that you have come across this term before. Basically, it means learning through play, just as the term describes. This can be from sensory play to threading beads to building with blocks. When you really think about it, all types of play would include some level of learning. Think about an activity your child did today, what do you think they may have learnt? This is sometimes the hardest part for a parent. True play based learning is spontaneous and there is little need for adult ‘voice’. 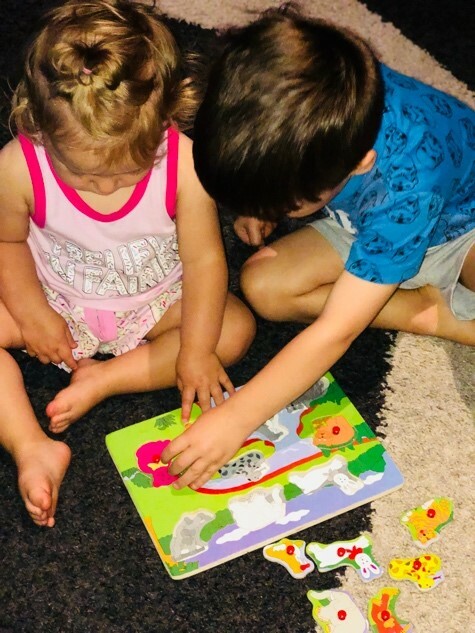 Therefore, to engage in play based, a parent must play alongside the child and observe things that may provoke the child further, without raising these with the child at that time. These can then provide the parent with ideas for future play. This is where you may discover your child’s learning but should not be asking leading questions. Once you begin guiding the experience this then becomes incidental learning. The direction of the child should be followed at all times; as adults we tend to twist it into learning, rather than play. This can disempower the child and all of the good learning that is coming from that play. Just remember it is about fun. Even when you are not aware of it, they are still gaining and practising skills that over time, will achieve further learning. This is a form of accidental or unplanned learning. This may be something that you do not even realise until the moment has passed or the activity is finished and you reflect back. This can also then lead to child-initiated learning. 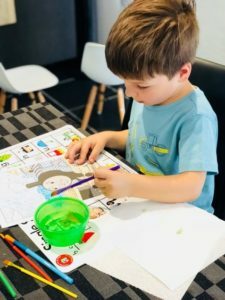 You may realise that your child has picked up a new skill or understanding and therefore you begin scaffolding their learning by asking more questions or guiding the play. As you can probably see by now, learning is an ongoing state for a child. They do not need us to explicitly teach everything, they will gain knowledge, understanding and skills through their everyday experiences. A favourite incidental learning experience that I recently had was watching Cristian play Snakes and Ladders. I was just sitting back and watching him play with his dad and listening to the conversations taking place. My husband, Marc, is not a teacher and therefore the conversation was just natural. They were about half way through the game at this point. Cristian rolled the dice and Marc asked him what the number was on the dice. Cristian answered without counting the dots on the dice. I was totally surprised that he was able to do this. This skill has fancy term, Subitise. This is the ability to recognise a number without the need to count. He has learnt to do this on his own through playing board games for a period of time. But even before this skill was gained, he was using one to one correspondence to count the dots on the dice correctly. Once the number was established, he then had to move his counter on the board. This then required him to count the spaces and recognise the numbers in the boxes (in order to make sure he was going the correct way). He often needed some support in working this out, but there was lots of conversation about the number he could see and in which order the numbers needed to go. When you think about the concepts and skill broken down in this way, it is overwhelming to think how much children are learning every day. Yet in his eyes he was playing a fun game that required him to reach the end. However, in reality he was practicing numerous maths skills at once. Children only get to be young once, they only get to be innocent and creative in play for a short time, let’s not invade that time with overly structured and planned learning. I challenge you to play with them, explore with them and discover new things together. I think we have a bit to learn from our children too. Learning is all around and in children’s everyday experiences. All they need us to do is encourage it, scaffold it and create new experiences.